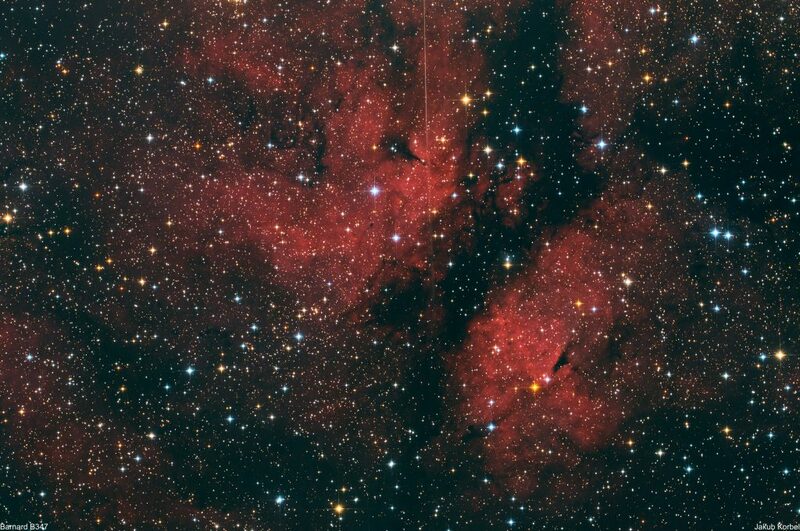 IC 1318 is an emission nebula, sometimes called Sadr region, located in constellation Cygnus, surrounding bright star Sadr. The star Sadr didn’t fit into the field view of my telescope/camera, but left the trace in form of diffraction spike at the top of the picture. 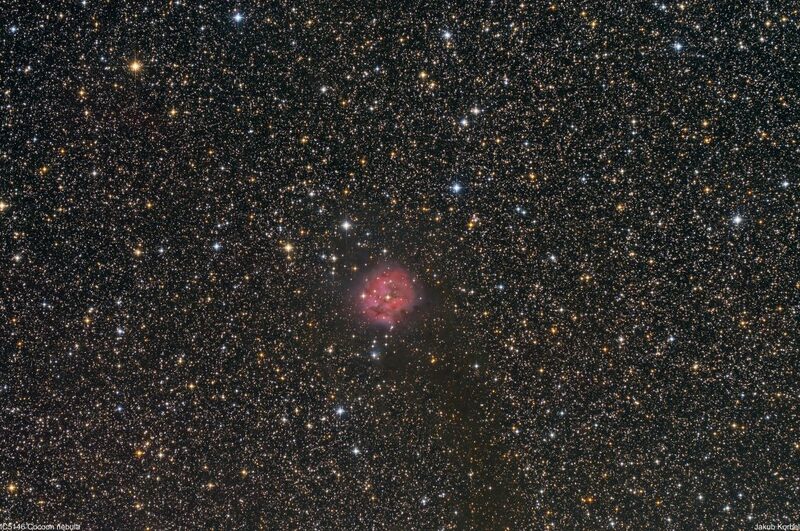 The nebula contains many dark nebulae and the biggest in the middle of the picture is called Barnard 347. The picture is another demonstration of dark skies of Milos and it is an integration of 77 pictures, each 3 minutes exposure, which means nearly 4 hours of integration time.